Let's face it...we all have had that student that feels driven to ask a million questions during a lesson. Sometimes those questions are relevant and sometimes they aren't. Here is a great trick to get students thinking about why they are asking questions and if they are important to ask at that time. My son was THAT student in third grade! He has an auditory processing disorder which led to classroom anxiety. When he was anxious, he would raise his hand to ask a question. Yup, any question that happened to pop in his head at that time!! Yikes!!! 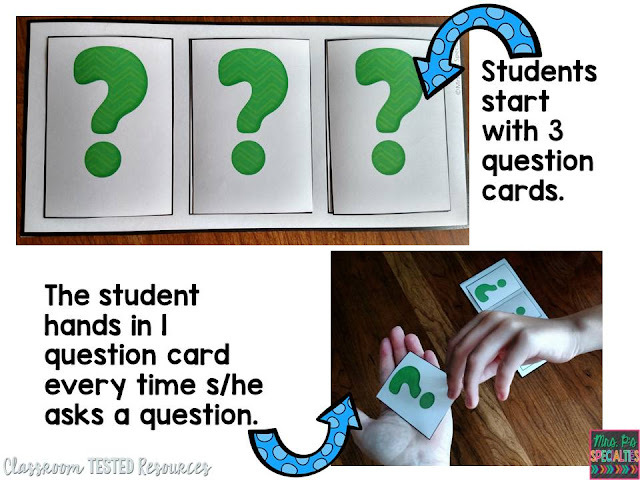 The teacher and I worked together to develop this question card system. These three cards were on his desk at all times. When we started the system he could ask 3 questions every hour, but then we were able to fade it down to 3 questions in the morning and 3 questions in the afternoon. About a month later he didn't even need the cards any more. He had learned why and when to ask a question and no longer needed the visual reminders. 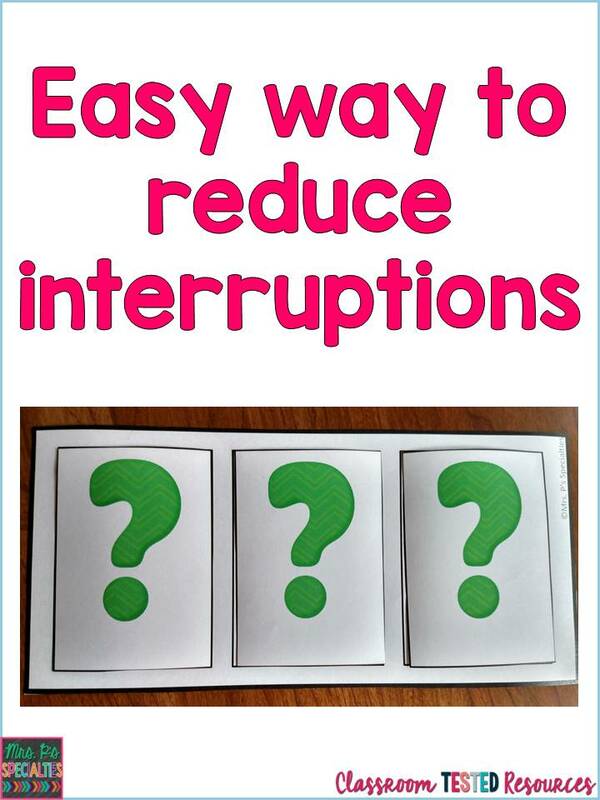 It is a nice easy LOW PREP way to teach students to think before interrupting a lesson. Download this FREEBIE here. I love this idea. Thank you so much for sharing, Pam. I also find that online classes facilitate me with cheap research papers learning because I can do it at my own tempo. Thank you indeed for publishing.